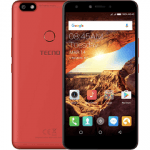 The Opsson P6 full Specification, Features and Price, while the full Specification, Features and Price of the Tecno H5 . *11.7mm while the Tecno H5 is 124*65.8*11.65mm. both have the Android Jelly Bean (4.2). the Tecno H5 has MT6572M 1.0 GHz Dual-core. all support GPRS, EDGE, 3G. both have a 4GB internal memory. both come with a 512MB. comes with free 8GB microSD card. P6 has a 2.0MP front camera while the Tecno H5 has a 0.3MP front camera. both have flash for the back camera with the Tecno H5 having a 100LM. P6 has a 4.5” screen while the Tecno H5 has a 4.0” screen. both have the G-Sensor, Proximity sensor, Light sensor. all have the 3.5mm port for earphone capabilities. P6 price range is from 18,000 while the Tecno H5 cost about 17,000. P6 and Tecno H5 are almost the same. comment below to choose the one you prefer and what you do not like about them. Please also rate both phones.